If you've met someone new during the summer months, there are a few things you might want to be careful about. Did you happen to meet that person on the first night of Obon? Did you meet them around the Nezu area of Tokyo? Do you only see them at night? If so, have someone else check in on you while that person is spending the night. 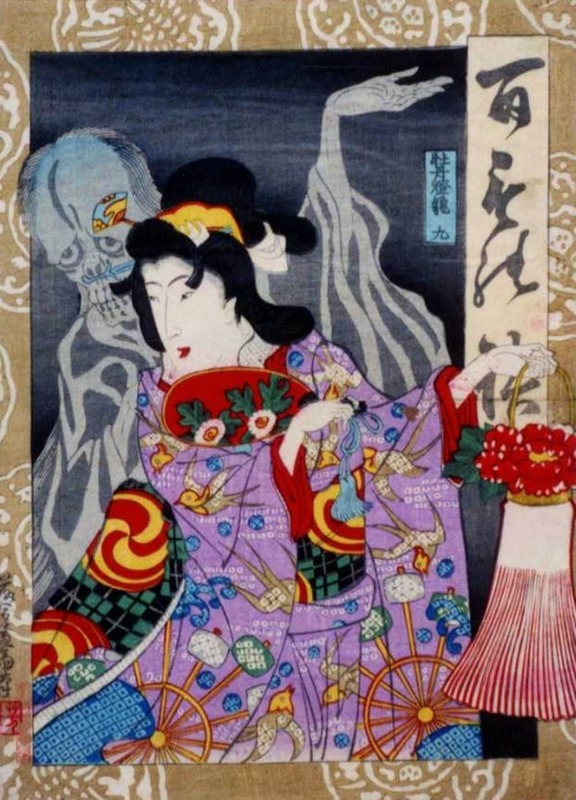 If your friend sees you in the arms of a skeleton, then you've entangled yourself with one of Japan's mythical "seduction" ghosts. It's a genre of ghost that can be male or female, though most traditional tellings involve a male victim of a female ghost, and these ghosts exist to seduce you, ultimately bringing you to a grisly end. Although it's a category of ghost, there's really only one firmly entrenched legend that defines it, the same way Dracula defined vampires in the West. 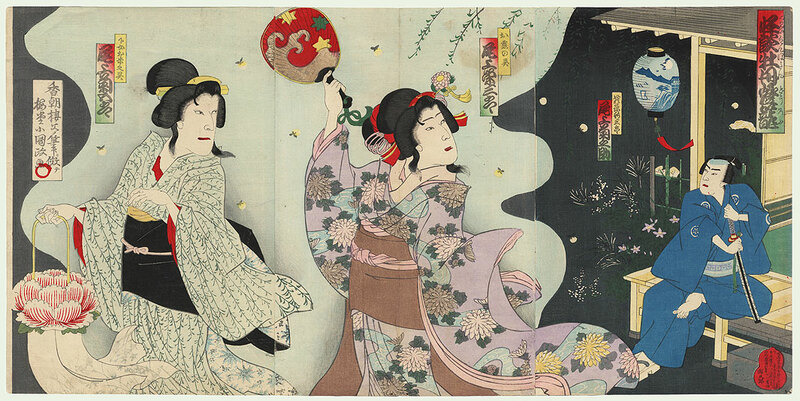 In Japan, the legend of Botan Doro tells the tale of a widowed samurai named Ogiwara, living in Nezu, who sees a woman carrying a lantern at the start of the Obon festivities. He meets her, quickly falls in love, and she spends many nights with him—but only nights. She leaves before dawn every morning. One night, a nosy neighbor spies on the couple to discover that the samurai is locked in an embrace with a skeleton—or a corpse, or a ghost, depending on how morose you like your version to be. The tale has lots of variants, originally coming to Japan from China in the mid-Edo Period (1603-1868), after which it became a rakugo story before being turned into a kabuki play in the mid-Meiji Period (1868-1912), and then of course being adapted into manga and film in the 20th century. Fortunately for Ogiwara, the neighbor warns him, so Ogiwara consults a Bhuddist priest who provides him with some kind of talisman of protection to put on his front door. The ghost woman can no longer enter. Unfortunately for Ogiwara, she sings outside his house, and her voice and beauty are too much for him to resist. He goes out to her, and she leads him back to her grave. He's found dead the next day. There are a number of variations on who the characters are and precisely how the protagonist meets his demise, with later renditions typically introducing a relationship between the man and woman before she becomes a spirit. The term Botan Doro, which is frequently used as the title for this story, literally means "Peony Lantern," and it refers to the lantern the ghost carried the first night Ogiwara saw her. These days, though, ghosts have to keep up with the times, so they're unlikely to be carrying a lantern. So as you walk about during Obon in mid-August, it may be wise to watch out for people illuminated by the screens of their smartphones! I'm a standup comedian performing in Japanese and English, a comic book artist, and a storyteller of all kinds.